Have You Ever Heard Of An Old Mine Cut Diamond? Comments Off on Have You Ever Heard Of An Old Mine Cut Diamond? There are various shapes of diamond, which are referred to as “cuts”. Diamonds were first cut by jewelers in the 14th century, thus allowing them to capitalize on how beautiful and sparkling these precious stones were. You have, no doubt, heard of the various cuts of diamonds, some of the more popular being the round cut, diamond cut, pear shaped, etc. However, you may never have heard of or even come across the old mine cut diamond. 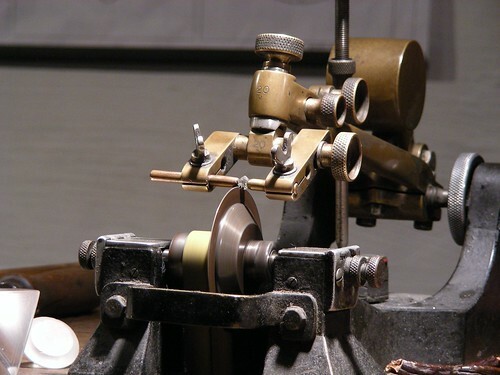 This is actually an antique method used to cut diamonds, although it became extremely popular throughout the 19th century and early 20th century. The miner’s cut first originated in the 18th century, although it became far more popular over 100 years later. You will most commonly find miner’s cut diamonds in antique jewelry, typically in engagement rings in Georgian, Victorian or Edwardian styles. The derivation of the name of this type of cut is probably because these precious stones were first discovered in old, abandoned diamond mines in India. This may seem a little strange, as the most common part of the world where diamonds are mined is South Africa, but originally India was the main source of diamonds. All diamonds were cut by hand until the early 20th century, which means that no two diamonds from this period are the same. These days, cutting diamonds by hand is a fading art and lasers are preferred thanks to the pin-point accuracy they offer. How is the Diamond Structured? The girdle is the widest part of the diamond found between the crown and the pavilion and was typically far thicker in antique cuts of diamonds. The Old Mine cut and the Old European cut diamonds are often confused with each other, as they were both extremely popular in the 19th century and they also look somewhat similar. They are both shaped almost identically in terms of the proportions for the table, crown, and pavilions. With that being said, the main difference between the Old Mine cut and the Old European cut diamonds is that the old European cut is round in outline. A far more modern cut of diamond, the brilliant cut, is actually based on a combination of the miner’s cut and old European cut. This shape is probably better known as round cut diamonds. Miner’s cut diamonds are extremely rare and, not surprising, very expensive as well. So, if you ever happen to come across a ring that holds an old mine cut diamond, you are certainly holding a very valuable antique in your hands.